Wishing you all a Happy Friday and this 2nd day of Spring season! It feels like Christmas just passed. I can’t believe Spring is already here! As much as I don’t like how time just flies by. I have to admit Spring is my most favorite season of the year, because it associates with COLORS. Life is just more vibrant in this season. Spring fashion also has a nice breeze of freshness, after months of “cover up” styles. Today’s blog feature my basics, stripes crop top and over red leather skirt. 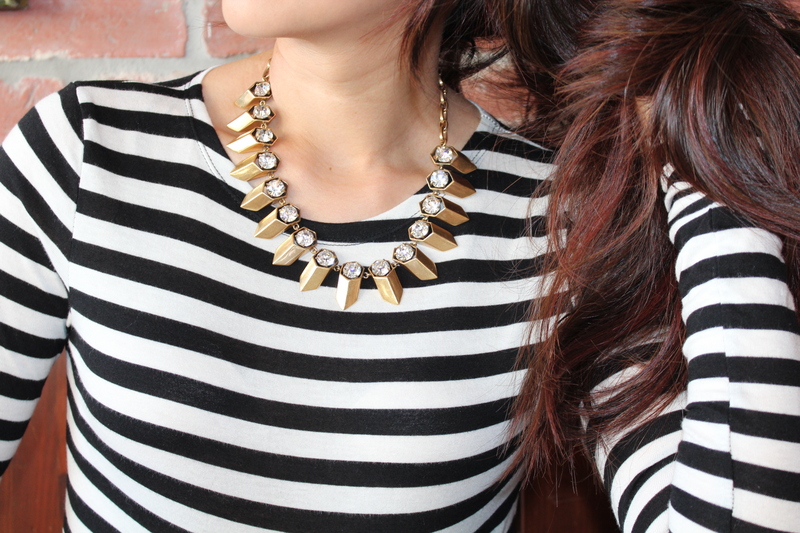 Even though it’s not with vibrant colors, but black/white stripes top is one of the staples in my closet. It’s my best friend when I need the illusion of slender figure. For now, it’s a great transition piece, pairing with red is timeless.